Citi’s ThankYou program is perhaps the most underrated of the major points currencies, in my opinion. I carry two cards in my wallet for daily spend: a Citi Prestige® Card, for spending in bonus categories, and a Marriott Bonvoy American Express Card, for all of my other purchasing. My wife carries her own Citi Premier℠ Card for her bonused spending, as well as an authorized user card for my SPG AmEx. We find that this combination provides us with so much value, both when redeeming points and when using the card on day-to-day purchases, that we don’t feel like we’re missing out when compared to Chase Ultimate Rewards or AmEx Membership Rewards (and trust me, we’ve had plenty of cards in those programs!). You might look at this list and think that there’s not much value to be had here, other than transferring to KrisFlyer – which you can do with literally any other transferable points currency. But there are a lot of sweet spots waiting to be taken advantage of, including a few that you won’t find anywhere else – even with Starwood. 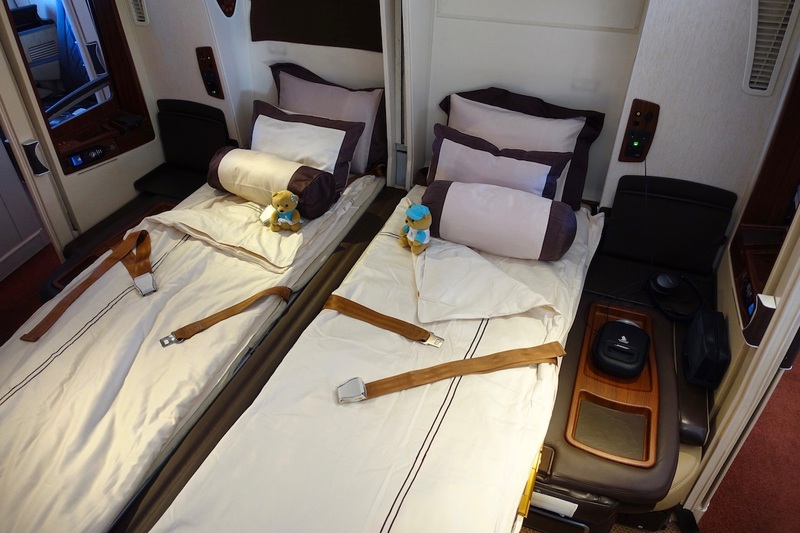 London to Jakarta on Garuda Indonesia first class for 19,000 miles – if they ever repeat their incredible 90% off promotion; it pays to be prepared! Yes, Turkish Airlines has fuel surcharges, but it’s a steal compared to American’s price of 57,500 miles, United’s 60,000 miles, or Delta’s 70,000 (and they won’t give you the stopover). And Avianca is also a Starwood transfer partner, but Starpoints aren’t easy to earn! There are other great features of Citi cards that extend beyond the transferability of points. One thing that I particularly love about the ThankYou program is their incredibly generous allowance of points sharing between friends. Citi will let you move up to 100,000 points per calendar year to any other ThankYou member, regardless of your relationship with the other member. Shared points expire 90 days after being sent, so be sure to plan accordingly. This is a benefit that I have taken advantage of several times. For example, in 2016 I planned a trip to Japan with my wife (then-fiancée). I was about 20,000 miles short of having enough points to book two tickets from Los Angeles to Tokyo in Singapore Airlines Suites, and she didn’t have enough points to book her own ticket. Since we weren’t married, we were limited in our options to get points from most of her accounts into my KrisFlyer account to make the reservation. Just 20,000 miles short of experiencing a double bed in the sky! With Citi, though, she simply sent the points to me, and I was able to make the transfer to my KrisFlyer account and book the flight. We used this benefit again when booking the flights for our upcoming honeymoon. She could have booked separately this time, but we wanted to make sure we’d be kept together in the event of irregular operations with our airline. Only Citi will allow you to give full-fledged ThankYou points to anyone. For married couples, the deal gets even sweeter. If you have a joint bank account with Citi, they will happily combine your and your spouse’s ThankYou accounts together, so that you can pool your points as a household. Another benefit that I love about Citi cards in general is Citi’s price protection feature, called Price Rewind. With every personal Citi credit card account (even the ones that don’t earn ThankYou points), cardholders are eligible to be reimbursed up to $2,500 per calendar year for items that dropped in price within 60 days of purchase. The real value of Price Rewind, though, is in how easy it is to take advantage of the program. All you have to do is register your purchase online with Citi, and they’ll watch for a lower price. This is, again, a benefit unmatched by any other bank – other price protection policies, if offered at all, require a lengthy, mail-in process to take advantage of the benefit. Citi’s ThankYou program has a lot more value than people give it credit for. The program has unique transfer partners that have useful redemption options. It’s by far the most shareable currency of any of the major programs. And they make it easy to use the ancillary benefits, like price protection. 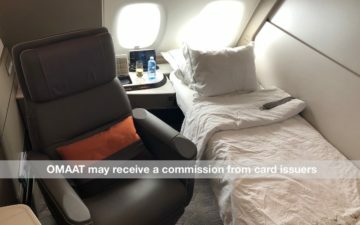 If you’re new to the ThankYou program, check out the Citi Premier℠ Card – their 50,000 point bonus offer is definitely worth it, and you just might find the same kind of long-term value I have. Very nicely written and a timely reminder. I’m sitting on about 30,000 Citi points and have almost ‘forgotten’ about them compared to my Chase Points. Plus they could be redeemed at 1.25c for travel in the worst case; which really is NOT that bad. I’ve been looking at Citi points as a way to visit some difficult to get to countries in Africa (thank you Tiffany for the tip at FTU Seattle). This article was helpful and informative. I’ve been thinking about getting rid of my Citi AA card since it is redundant to my Barclay’s AA card. So switching to a TY option makes some sense to me, especially now that Lifemiles seems to be working again. Cathay Asiamiles and Etihad. These two are still great TYP partners. And of course, Virgin Atlantic. I’m glad I’ve been saving myself as a Citi virgin. Can’t wait for the next increase in sign up bonuses. @raksiam that’s exactly what I’m doing. Tried to cancel Citi AA in Dec but they offered me 12k AA on 2k spend… not sure how that makes sense for them because I’m going to cancel it now, but I think the Barclay silver is worth hanging on to (in case you need the extra EQDs, lose status, etc). Good article, but I would challenge your assertion that you can only transfer to spouses/domestic partners with Chase. In Dec, I transferred 200k URs from my mom’s account to mine, and that relationship is on file since I was an AU on a separate card of hers, so I’m pretty sure I didn’t do anything sketchy to make that happen. Might check into that! While a useful reminder for price rewind, that’s not really a reason TYPs are under-valued. Indeed, you can use that feature on non-TYP earning Citi cards. Overall a good article, though. Hmm, interesting article. This is useful. I just may try to take that Europe to Bangkok on Thai airways First. Too bad Turkish airline doesn’t have F.
This guest article was much better than the last box-standard BA bashing one. I appreciate the different viewpoint and agree that Citi Thank You Points are extremely underrated. TYP’s have nothing to do with price rewind. In theory, this should include a relationship like your live-in parent or roommate, as long as you all share the same address, kind of like the SPG program. Sweet spots? Hum… For 57,500 I fly direct on American. For 45,000 points I fly “US to Europe in business class on Turkish Airlines, with a stopover” — the [forced] stopover, up to 23 hours, is Istanbul. Plus fuel charges. No thanks. Not if I was trying to book a flight to Western Europe. “Europe to Thailand,” not gonna happen for this U.S. -based flyer. “London to Jakarta on Garuda Indonesia — if they ever repeat their incredible 90% off promotion.” Nah. I’ll won’t wait for that one to come back around or for Delta to match it, thanks. My Citi Prestige plus experience so far is some delightful customer service reps — I managed a price match on a pair of running shoes after talking to about a half-dozen of them and emailing a lot of scanned receipts. Not a lot of ways to get rid of the darn points either, without settling for a low-value exchange. And getting my totally legit travel reimbursement this year is taking intervention, too, so: Trade Down, Card Down, or Card Done. I think you’re wrong on this one. Amazed that 20k for J from Prague to Seoul didn’t make this list? Also, some US to Europe itineraries for 45k one-way (80k round trip) on OW thru Asia Miles. Or roundtrip CX J JFK-YVR for 50k roundtrip. Did you forget to mention the horrible experience most people have when making Trip Delay Reimbursement claims? Also, didn’t see an author, so is this Lucky referring to Ford as his wife? cute. but t slammer. I don’t think its underrated — its rated accordingly. Citi TYPs has the lowest value among the big three and I say this as someone who has points in all three. Glad TYPs works for you, but your argument of why TYPs are underrated is not a very compelling one. *Yes AV has some sweet spots that presents better value than the UK-Thailand one, but I am focusing on your pointers. With so many Asian partners, I would hope I there would be a nice sweet spot for travel to Asia from the US, but I haven’t found it (if it exists). It seems there’s significant better value in the other 3 currencies when heading to Asia over ThankYou points. Cathay travel thru Mileage Plan is well chronicled (SPG partner). I can also get much better redemption rates on EVA flights by booking thru ANA (MR partner). I travel to Asia 6-8 times per year from ATL. Is there a strong reward that is redeemable thru ThankYou points that is better than those of the other transferable currencies? I do have the Citi Preferred card, and have banked roughly 70K points, but I don’t yet know what I will do with them. If Virgin or Cathay does another transfer kicker, it’s likely I’ll burn them that way. 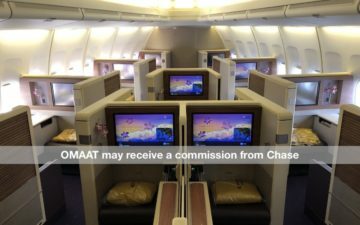 I haven’t yet found a route in business class (or first) available thru Citi points that isn’t available for the same amount or cheaper thru another program. I find it is so hard to redeem TYPs for award tickets. Yes, your example of some award chards and destinations look attractive but many people are looking beyond these and fail to find these needed destinations and tickets to use their TYPs. I myself is sitting on hundred thousands of TYPs but could not find any good award tickets to go to where I would like to go. Singapore Airlines booking so difficult, too. To me, TYP is not as good as Chase and American Express points programs which are very easy to redeem than TYP program. Looked in vain for “3 Reasons Citi ThankYou Points Are Underrated”. In fact, I didn’t find any reasons for that. First, as others have said, Price Rewind has nothing to do with TYPs. So one down right away. Next, you can share them with anyone you want. So who is underrating them because of that? Perhaps the author meant that they are underrated because most people don’t know they can do that? In any case, I don’t have anywhere near enough points to give away. And if you are thinking of pooling points with non-married same address residents, regardless of relationship, yes Chase and SPG will let you do that. My wife and I have different last names, and have transferred both Chase and SPG points back and forth without needing to document our relationship. Not to mention our Hilton and British accounts are also pooled. Finally, TYPs have low value transfer partners…. One to one to Hilton, are you kidding me? For a mere 75,000 points you can get a big city hotel room for one night, value @$300, instead of a premium cabin TATL ticket, value thousands of dollars. As a US resident I’m always looking for award tickets from London to Jakarta /sarc and I’m not holding my breath waiting for that unicorn deal to return. May as well mention a mistake fare that was reluctantly honored. Qantas would be good if there would ever be premium award space available, but there won’t be. Avianca miles now expire after 12 months, and according to the commenters on the OMAAT post from Jan 2018 it’s very difficult to find award availability. Of course there’s always Virgin Atlantic; especially if you relish paying sky high YQ on premium awards. But my favorite would be Turkish, since Istanbul is such a lovely place to visit lately. Just be very careful to not mention the name Gulen, even in your sleep, or you may end up with free room and board for an unlimited time. Yes Cathay and SQ are good options, but SQ is so promiscuous that a large number of programs transfer to them. And Cathay can be acquired with AA, AS, and SPG miles. If you cancel your TYPs credit card, the miles expire within 60 (90?) days. Even if you have other TYPs cards, the points from the canceled card expire. The transfer partners are very poor, with the exception of the 2 programs that you can easily get with multiple other programs. Citi regularly removes the sign up bonus for TYPs cards, making you wait months to find out if they are going to reinstate the bonus. Once you get any type of TYPs cc, or for that matter cancel one, you do not qualify for any type of TYPs cc for the following 24 months. Yes Citi will approve your application, but after meeting the minimum spend they will refuse to give you the points. I also benefited to the tune of $3000 for a whale watching trip I had to cancel due to a broken ankle. It was an easy process. I like when Citi had Etihad bonus transfers. The one issue I’ve had with Citi is that the two airlines I transfer to: Singapore & Etihad both have very long transfer times. Etihad has taken over a week before. Sorry but this article was terrible. I kept waiting for an explanation of the sweet spots of the lesser-known award programs (other than Krisflyer), and instead got a ridiculous suggestion of saving Garuda miles for a 90% promotion and flying to Western Europe via Istanbul. This article wasn’t well researched at all – it was just lazy and left me waiting. I think commenters are missing the point about the Price Rewind benefit. First, the author clearly stated it comes with most Citi cards, not just ThankYou point earning cards. Second and more importantly, the author is comparing ThankYou points relative to other currencies. That means the Price Rewind benefit is in fact “unique” to ThankYou point earning Citi cards compared to Ultimate Rewards earning Chase cards and Membership Rewards earning Amex cards. Duh people! Also, I had no idea about the Turkish Airlines 45k business class option. Love it, and really enjoyed the article. Oh, this reminds me of Hilton Points. I guess you could transfer it to anyone and the points transferred will not be expired. Good points. Both in the comments and the article. The comments wouldn’t exist without the article. Which is why we need more articles like this. TK’s YQ is about $200. And if your airport isn’t a TK gateway, you pay extra to position and/or de-position. I’ll take Aeroplan or AA ex-my home airport and no surcharges for 55-57.5k. Better yet, give me Asiana for 40k and no surcharges on UA. As for Avianca’s 100k+ for F Europe to Asia, that’s supposed to be a sweet spot? Goodness gracious. Most of this blog’s readers are in North America. AS can get you from here to Asia in a better F for 70k. TYP is worth more than before thanks to recently added TK and Avianca (they are valuable, just not the best), but it’s still BY FAR the weakest of the 4 transferable programs. amex points still king for me and chase ur points is overrated. the only advantage it has is transfr to united but united charges too many miles imo. citi ty points offer flexibility, i owned none but currently working on it with my brand new citi premier. and i had no idea i could redeem europe award on turkish for only 45k miles. thanks! I think the best part of the card is the 24 months extended warranty. In fact its the only reason I keep the card. If you keep track it’s amazing how much electronics bites the dust within two years of purchase and if you buy an extended warranty like AppleCare then you get a five year warranty. Worth the $100/year net it costs me not even counting the price protection. Turkish flights to Europe (other than Turkey) have a major drawback of a huge layover in IST – 10 to 15 hours in many cases. I keep TYP via Citi Prestige over Chase mainly for the 4th night free benefit on hotels including all-inclusive ones, it’s saved me more than $1k this year already, but thats the Prestige card, not Premier. Citi does give 3 points per $ spent on certain categories like travel, which is better than SPG which only gives 1 point per $ on all spending, so TYP are much easier to accrue. Hire this one!!! Totally spot on. This guy gets it. 1. You cannot book online or via phone for awards using other SA carriers. You must contact the local TK office to book the award. 2. You cannot mix different carriers on a one-way trip. 3. The YQ on most European SA carriers is heavy. 4. The only possible stopover point for the 45K US-Europe redemption is Istanbul. The transfer option discussion has helped me with a new strategy for three people. I’d rather have more miles in one Singapore account than smaller numbers in three. Since the author mentioned how “easy” Price Rewind is, I feel obligated to share my experience. Last year I purchased a lawnmower at Lowe’s at the beginning of the season with my Citi Prestige card. I normally only bother to register large purchases like this with Price Rewind. Two weeks after the purchase I noticed that Lowe’s was selling the same mower $40 off. I waited for a notification from Citi that Price Rewind had found the lower price. After all, this is one of the biggest national chains and the sale price was also readily found online. When the mower was listed again in the following Lowe’s flyer at the sale price I submitted a *manual* Price Rewind request with the scanned flyer and receipt to receive the reimbursement. Eventually the 60 day period expired and the ultimate finding from Price Rewind was that no lower prices than the original were found. Easy, right? I’m sure there are plenty of stories of Price Rewind working as easily as Citi advertises, however I found that I couldn’t trust the system to automatically find the lower prices. After emailing Citi I received only a canned response apologizing that Price Rewind did not find the lower price and have since cancelled my Citi card. As a full disclosure, I would have cancelled the card anyway because of the devaluation to 1.25 cents on travel and elimination of AA club access (I fly out of PHL). I used my Ty points for singapore airlines redemptions which I combined with Amex MRs. They tore apart the benefits of the prestige card IMO and it went from being my favorite card to my turning it into a citi double cash. I don’t even have any TY point cards open anymore. Maybe after my bonus resets I will take a look and see if they have an outstanding signup offer otherwise I’m not going to lose sleep. Cards weren’t anything to get that excited about and certainly not a currency I would invest a lot of my daily spend in building up. Seems kinda odd you would push these cards, because I can’t imagine they would benefit many people at all in comparison to products offered by other lenders. I’m going to be honest, this is yet another credit card story for US readers. Even if he was a bit out of line (albeit tongue in cheek), that Aussie talking about BA is the best one I’ve read for now. And it actually taught me a thing or two. The family one was interesting, but the writing style was a bit heavy. I don’t mean to be critical, but I do not think this article was up to the depth I have come to expect from OMaaT. Also, I have to disagree with his analysis to a degree. I don’t see ThankYou points as worthless – I carry the ThankYou Premier and Prestige cards – but I have scaled back their use. I tend to only use when I book travel due to the excellent category bonus (and then not exclusively; note, I do not yet have the Chase Sapphire Reserve) an entertainment on the TYPremier for a similar reason. I have gotten value transferring points to Flying Blue but beyond that the partners aren’t as useful to me as Amex Membership Rewards and Chase Ultimate Rewards. I do think he misssed the single best value of the Prestige card (though admittedly not a points benefit), that being the Fourth Night Free. That perk is the only reason I keep this card with its $450 annual fee. Between that and the airline credit, the card more than pays for itself in most years. In summary, it’s not a bad article, even if I do not fully agree, but I think OMaaT has earned a reputation for greater depth. This article would probably fit better on some of the other points and mile blogs. In my opinion, the blogs undervalue the Citi Thank You cards. 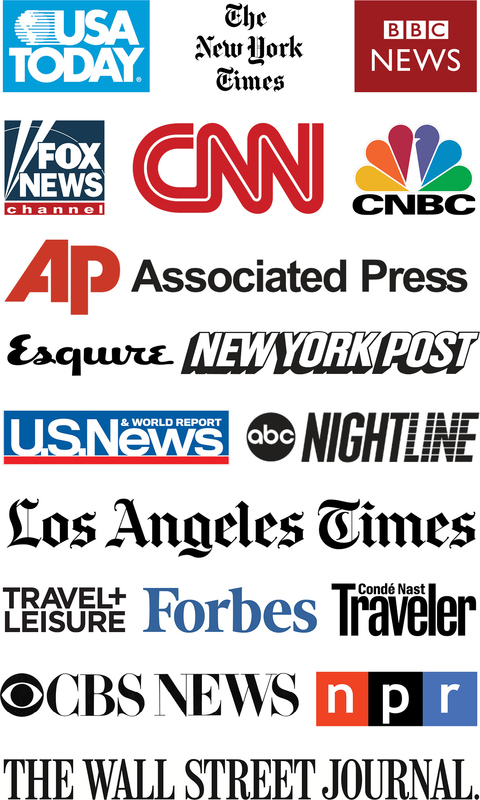 1-The CTY points are fantastic for plane tickets not covered by any FF program or when FF seats are unavailable. Plus, I obtain a 20% discount. 2-The Citi Rewind program is fantastic. I can purchase an Apple computer at the Apple store where I receive all the benefits but receive pricing as if I bought it at B&H. My goal is to obtain free shipping which can’t Rewind. The price is irrelevant since I can rewind it to the lowest price available. The perk works well at the end of the season. I can purchase an item during the season but obtain out-of-season sale pricing if the price drops within 60 days. Using the Amazon Honey price drop feature identifies any lower pricing the Rewind feature doesn’t locate. The automatic Rewind feature isn’t perfect, and I can sometimes do better. It’s not worth my time unless it’s for a large purchase. 3-The extended warranty is the better than any other card offers. I no longer purchase them. 4-The flight travel credit on Citi Prestige occurs automatically, and I don’t have to preselect an airline. Although, an Aeroplan fee recently coded as souvenirs and was excluded. Citi compensated me with extra points, and Aeroplan reversed the payment, but it was annoying. The airlines and the credit cards should ensure that charges are correctly coded and not burden the consumer with the onerous task of emailing companies to correct their errors. Since I got locked out of Chase cards, I focus on acquiring SPG starpoints and Citi TYP while my husband focuses on UR points. A few months ago, I transferred 80,000 TYP to EVA and the flight didn’t get confirmed until 3 days before departure. The process of transferring UR to United to book EVA is much faster and less stressful.